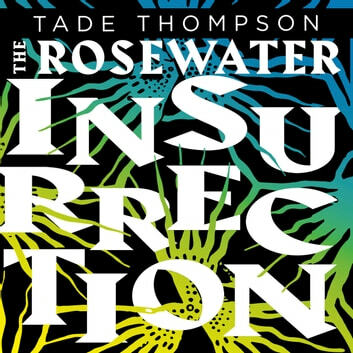 'Thompson is an expert storyteller' Guardian on The Rosewater Insurrection The year is 2067. The city of Rosewater is chaotic, vibrant and full of life - some of it extra-terrestrial. The charismatic mayor, Jack Jacques, has declared Rosewater a free state, independent to Nigeria. But the city's alien dome is dying. Government forces await its demise, ready to destroy Rosewater's independence before it has even begun. And in the city's quiet suburbs, a woman wakes with no memory of who she is - with memories belonging to something much older and much more alien. 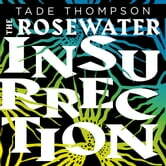 Praise and accolades for Rosewater: Winner of the inaugural Nommo Award for Best Novel, Africa's first award for speculative fiction Shortlisted for the Kitschie Award for Best Novel 2019 John W. Campbell Award finalist for Best Science Fiction Novel 'A magnificent tour de force' Adrian Tchaikovsky 'Smart. Gripping. Fabulous!' Ann Leckie 'Mesmerising' M. R. Carey 'An astonishing book. I wish I'd written it' Lauren Beukes The Wormwood Trilogy begins with Rosewater, continues with The Rosewater Insurrection and ends in The Rosewater Redemption.